Crimsafe Security Door Seaford Meadows. If you are after CrimSafe security doors Seaford Meadows. Then you have come to the right place. No matter what the issue is, give the team at Max Security a call today. Is your current door or screen in need of a makeover or revamp. Are you a victim of a break-in or have a worn screen door. Then give us a call today. We have all of the latest Crimsafe Security Door Seaford Meadows. Here at Max Security Doors & Screens we are the specialists in all things Crimsafe security doors. In fact we are one of SA’s largest dealers of all Crimsafe products. We have an extensive range of Crimsafe products and services. All of which will leave your home as safe as it possibly can be. We don’t just stock CrimSafe security doors but we also stock and specialise in CrimSafe security window screens as well. So for all of our services both on security doors and security windows. Including all Crimsafe security doors in Seaford Meadows and surrounding suburbs give us a call today. Max Security Are Your Local Specialists In All Things Crimsafe Security Door Seaford Meadows. We have just recently installed a fully custom Crimsafe Security Door Seaford Meadows. 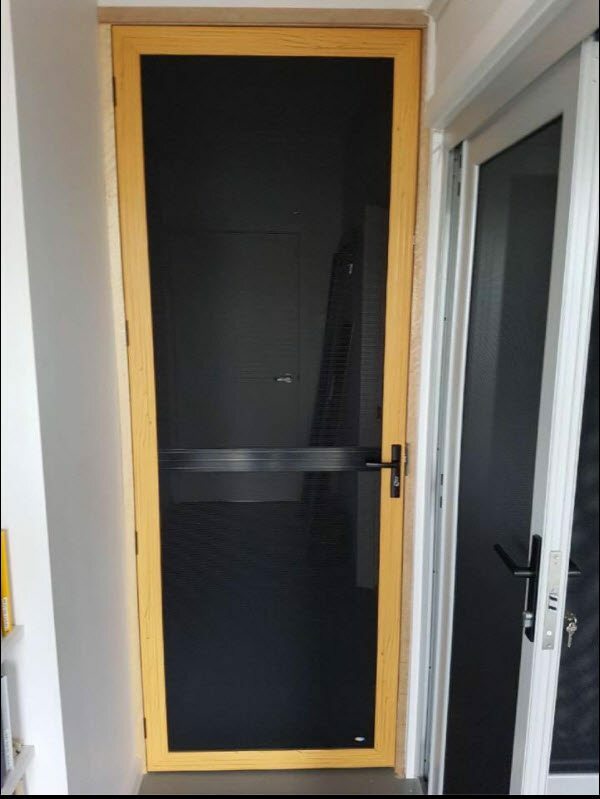 As you can see if the photo below we have two seperate security doors that are custom made and fitted to two different sizes. Both of which are reinforced with top of the line security mesh and reinforcements. For all of your security window screen needs you cant go past our CrimSafe security mesh which is an option for all security doors and security window screens. If you would like something similar to this, or even just want to get a free measure and quote and see what other options are available please contact us on 08 8186 5733 and one of our friendly staff will help you out.